Cats love humans more than we realise. 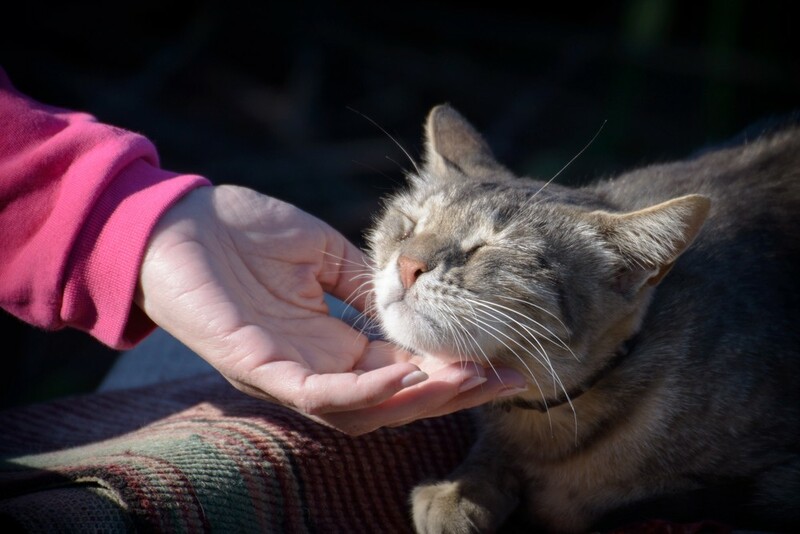 Unlike dogs, cats don’t greet their owners with wagging tails and sloppy kisses, but that doesn’t mean they don’t have genuine affection for us. They simply express their affection in more subtle ways. All that’s needed to decipher their secret codes is a basic understanding of feline body language. Master this and you’ll soon realise that your kitty is constantly trying to tell you how much they love you. The intense stare of a cat can leave some feeling uneasy, but this really shouldn’t be the case. Cats simply aren’t afraid to give eye contact to those they LOVE. Strange, we know, but quite literally the look of love. Cats have many strange ways of showing affection. One particularly odd illustration of their love is kneading. Felines learn the act of kneading from their mothers as kittens. 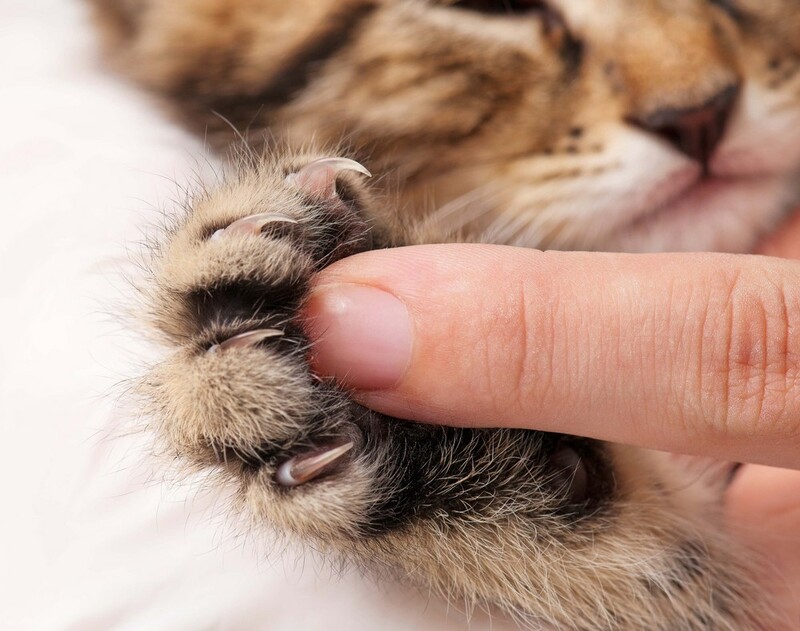 If your kitty gives you a massage with their paws, they are showing you affection in the same way they would do with their mum. What could be a greater sign of love? So next time your cat is gently kneading your tummy while you’re trying to watch your favourite TV show, take it as a compliment. And if there’s a little too much claw remember, it’s not kitty’s fault. Just give their nails a bit of a trim to make it more pleasurable experience. Some cats don’t really enjoy physical contact but that doesn’t mean they don’t want your companionship. If your cat follows you from room to room (and it’s not feeding time) they want to be close to you. Kind of like your own fluffy little shadow. As lovely as this expression of love is, it does also mean that you can forget about ever going to the bathroom alone again. 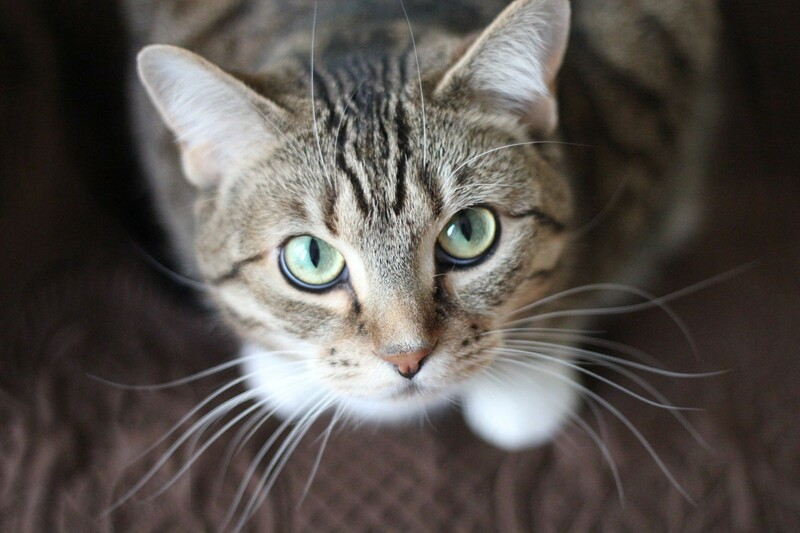 A cat’s purr can mean a variety of things, from delight to expressions of concern. When and where is therefore important to deciphering whether the purr is a loving one. Cats have a reputation for being champion nappers with the ability to sleep in most positions imaginable. But that doesn’t mean they are not very particular about where they sleep. They have certain ground rules when it comes to choosing these resting spots. The most important? Making sure it’s safe. So, when your cat chooses to sleep with you, around you, or on you, you should know this is a sign they trust and love you. You’re like a big security blanket for kitty. Head-butting may seem like an odd way of showing affection, but this nuzzling action is essentially a kitty kiss. When your cat nuzzles their face against you, they are marking you with their scent. This scent is a source of both comfort and familiarity for them. They’re reminding themselves that you’re safe and part of their happy family. 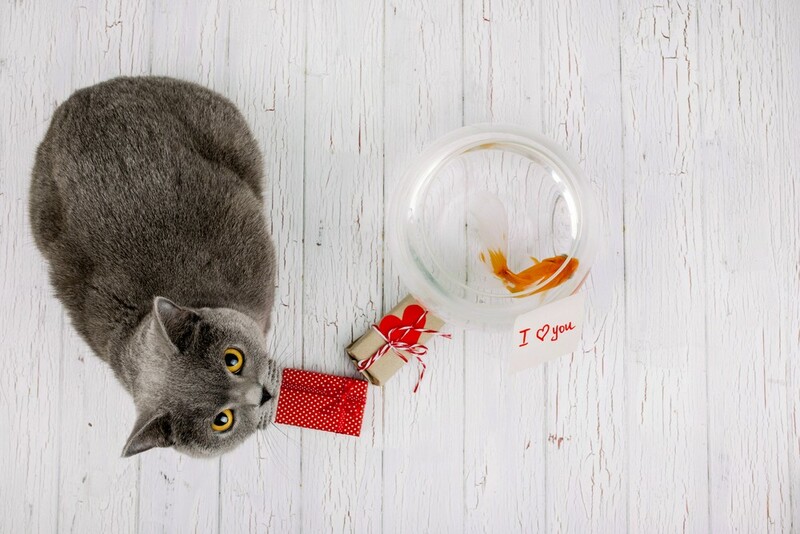 Most owners will be used to their cat bringing them an array of interesting presents. Often these gestures of love will be wet, cold and have fur. Disgusting? Yes. But this is another unusual way that your cat expresses their fondness for you. They wouldn’t bring you these gifts if they didn’t love you, so make sure you give them plenty of praise next time they drop a surprise at your feet (even if it is slightly nauseating one). If your cat constantly attempts to dance in between your legs, this is likely a sign of true love. Rubbing up against another individual is how cats show affection. Similar to head-butting, they will leave their ‘happy messages’ on their chosen object of desire, claiming it as theirs. Essentially, if you were ever in doubt, your legs belong to them. If you cat does any of these you know they love you. If they do all of them, well then you should probably expect a Valentine’s Card! 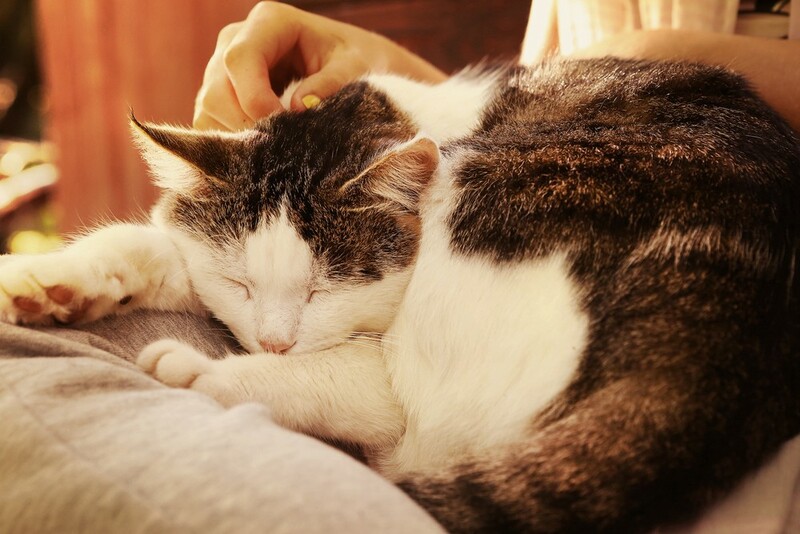 Have you told your cat how much you love them with FELIWAY? Let us know by taking the quiz How Much Happier Is Your Cat?